A two judge bench of the Supreme Court of India today has issued landmark guidelines for disaster /drought management. The bench comprising of Justices Madan B. Lokur and N.V. Ramana has issued the directions in a public interest litigation filed by Swaraj Abhiyan. 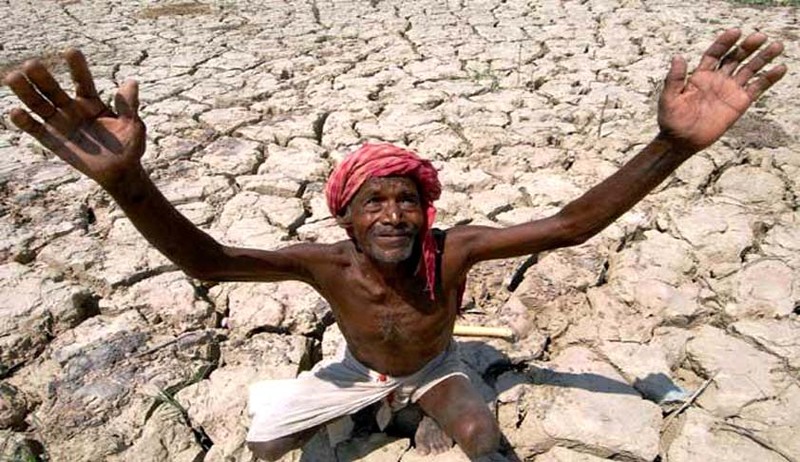 The writ petition was filed in the backdrop of a declaration of drought in some districts or parts thereof in nine States that is Uttar Pradesh, Madhya Pradesh, Karnataka, Andhra Pradesh, Telangana, Maharashtra, Odisha, Jharkhand and Chhattisgarh. Drought or “semi-scarcity” has since been declared very recently in April 2016 in 526 villages followed by another 468 villages in Gujarat as well. All these States are respondents in this writ petition along with the Union of India. According to Swaraj Abhiyan drought ought to be declared in most parts of the respondent States of Bihar, Gujarat and Haryana. It has, therefore, sought a direction to these three States to declare a drought and provide essential relief and compensation to people affected by the drought. The prayer for a declaration of drought in Gujarat has seemingly become infructuous, but we do have a lot to say about the response (or lack of it) by the State Government in Gujarat. The petitioner has also prayed that all the respondents before us (13 in number including the Union of India) be directed to provide to the farmers affected by drought adequate and timely compensation for crop loss and input subsidy for the next crop. A prayer has also been made for a direction to the respondents to make available timely payment for employment (more particularly to the drought affected people) under the Mahatma Gandhi National Rural Employment Generation Scheme framed under the Mahatma Gandhi National Rural Employment Guarantee Act, 2005 (for short “the NREGA Act”). It has also prayed that food grains be made available as specified under the National Food Security Act, 2013 (for short “the NFS Act”) to the rural populace in the drought affected areas irrespective of their classification of being above the poverty line or below the poverty line. Similarly, it is prayed that milk or eggs be made available to all children who are covered by the Mid Day Meal Scheme or the Integrated Child Development Scheme in the drought affected areas. With particular reference to the farmers, it is prayed that crop loans for damaged crops and other debts of farmers in the drought affected areas be restructured and a fair, objective and transparent package for crop loss compensation be fixed. With regard to livestock in drought affected areas it is prayed that a direction be given to provide subsidized cattle fodder. As mandated by Section 44 of the Disaster Management Act, 2005 a National Disaster Response Force with its own regular specialist cadre is required to be constituted. Unfortunately, no such force has been constituted till date. Accordingly, we direct the Union of India to constitute a National Disaster Response Force within a period of six months from today with an appropriate and regular cadre strength. As mandated by Section 47 of the Disaster Management Act, 2005 a National Disaster Mitigation Fund is required to be established. Unfortunately, no such Fund has been constituted till date. Accordingly, we direct the Union of India to establish a National Disaster Mitigation Fund within a period of three months from today. Section 11 of the Disaster Management Act, 2005 requires the formulation of a National Plan relating to risk assessment, risk management and crisis management in respect of a disaster. Such a National Plan has not been formulated over the last ten years, although a policy document has been prepared. We can appreciate that the formulation of a National Plan will take some time but surely ten years is far too long for such an exercise. Accordingly we direct the Union of India to formulate a National Plan in terms of Section 11 of the Disaster Management Act, 2005 at the very earliest and with immediate concern. (i) Weightage to be given to each of the four key indicators should be determined to the extent possible. Although the Manual states that rainfall deficit is the most important indicator, State Governments seem to be giving greater weightage to the area of crop sown out of the cultivable area and not to rainfall deficit. For this reason, necessary weightage is required to be given to each key indicator. (ii) The time limit for declaring a drought should be mandated in the Manual. Although it is stated in the Manual that the best time to declare a drought, if necessary, is October, we find that some States have declared a drought in November and December and in the case of Gujarat in April of the following year. Obviously this is far too late. The impact and effect of a late declaration of drought has already been mentioned in the Manual and it is not necessary to repeat it. Hence the necessity of a timely declaration. (iii) The revised and updated Manual should liberally delineate the possible factors to be taken into consideration for declaration of a drought and their respective weightage. Haryana has added several factors as has been mentioned above. Similarly, Bihar has added some other factors such as perennial rivers while Gujarat has added factors such as the nature of the soil etc. While we appreciate that it may be difficult to lay down specific parameters and mathematical formulae, the elbow room available to each State enabling it to decline declaring a drought (even though it exists) should be minimized. This would certainly be in the interest of the people who face distress because of a drought or a drought-like situation. (iv)The nomenclature should be standardized as also the methodology to be taken into consideration for declaring a drought or not declaring a drought. The Gujarat Relief Manual, for example, apparently refers to “scarcity” and “semi-scarcity”. The State Government appears to be hesitant to use the word “drought” even though a drought or a drought-like situation exists. Similarly, due to a lack of standardization in the annewari system of crop assessment, Gujarat takes 4 annas out of 12 annas as a base for determining if there is a drought-like situation. In areas where the crop cutting is between 4 annas and 6 annas, there is discretion in the State Government to declare or not to declare a drought. On the other hand, Maharashtra uses 50 paise as the standard the annewari system for declaring a drought. There ought to be some standardization so that each State does follow its own methodology in declaring or not declaring a drought. In the proposed revised and updated Manual as well as in the National Plan, the Union of India must provide for the future in terms of prevention, preparedness and mitigation. Innovative methods of water conservation, saving and utilization (including ground water) should be seriously considered and the experts in the field should be associated in the exercise. Illustratively, dry land farming, water harvesting, drip irrigation etc. could be considered amongst other techniques. The Government of India must insist on the use of modern technology to make an early determination of a drought or a drought-like situation. There is no need to continue with colonial methods and manuals that follow a colonial legacy. It is high time that State Governments realize the vast potential of technology and the Government of India should insist on the use of such technology in preparing uniform State Management Plans for a disaster. The Secretary in the Department of Agriculture, Cooperation and Farmers Welfare, Ministry of Agriculture in the Government of India is directed to urgently hold a meeting within a week with the Chief Secretary of Bihar, Gujarat and Haryana to review the apparent drought situation with all the available data and if so advised persuade the State Government to declare a drought in whichever district, taluka, tehsil or block is necessary. It should be emphasized that there is no loss of face or prestige or dignity in the State Government declaring a drought if it is warranted, although succour to the distressed might be too late in the day. The Secretary in the Department of Agriculture, Cooperation and Farmers Welfare in the Union of India might also consider convening a meeting of the National Executive Committee and issue directions, if necessary, to the States of Bihar, Gujarat and Haryana and their Authorities in response to any threatening disaster situation or disaster. Humanitarian factors such as migrations from affected areas, suicides, extreme distress, the plight of women and children are some of the factors that ought to be kept in mind by State Governments in matters pertaining to drought and the Government of India in updating and revising the Manual. Availability of adequate food grains and water is certainly of utmost importance but they are not the only factors required to be taken note of.